I'm pretty sure I've mentioned it before but I LOVE a bargain. The only thing I love more than getting a bargain for myself is getting one for Blondie Boy so naturally I freaking love Zulily. For those not in the know Zulily is an online store offering daily sales events on top-quality apparel, gear and other goodies for moms, babies and kids. Membership is FREE and members enjoy savings of up to 90% off retail prices! Score! The fab team at Zulily listened to my nonsense about how Blondie Boy is as rock and roll as a three year old gets and that hats were to boy moms what tutus are to girl moms and sent over this AMAZING outfit for my little dude. How cool does his look? Yes I'm biased but I love this outfit! I really hate boring or naff kids clothes so I love that Zulily has funky clothes you wouldn't find on the high street at a reduced price. Blondie Boy loves his t-shirt so much he insisted on wearing it to bed tonight, too. If you'd like to join Zulily it is free and you can access all of their amazing limited offer deals in both the US and UK! Do you subscribe to daily deal sites? 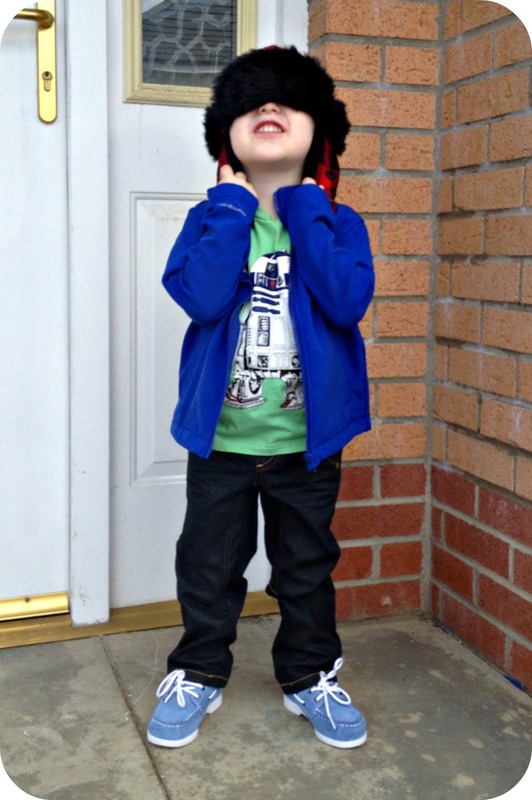 Are you a weirdo like me about what you'll let your kids wear? Transatlantic Blonde was provided an outfit for review but all opinions are our own. Have you ever tried to get a three year old to wear and pose in something they didn't like? I love R2D2!!! That t-shirt is great :) He looks so cute and happy! Your little man is so stinking cute! 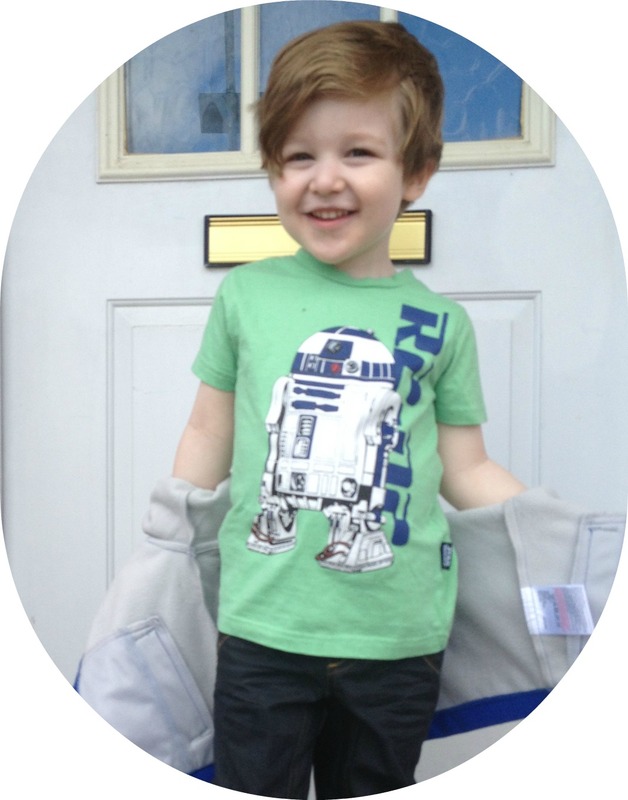 Love that R2 D2 shirt too. I am totally a weirdo about what my kids wear! He looks adorable! Yes I am particular about what they wear. My kids only own one pair each of trackpants and they rarely wear them! Having 2 boys myself I totally agree re: the hats (if only they wouldn't keep losing them!). Wow I love this outfit and those blue loafers are AMAZING - very rock and roll and some serious toddler chic going on. love participating in this blog hop every wednesday!! love your site! Hmm haven't tried Zulliy, I must go and check it out! 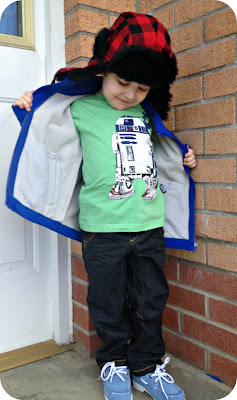 LOVE that R2D2 shirt... I've got to find one for my boy! Thanks for hosting!! We love zulily over here! I use zulily for the kids... and for myself! =) I recently bought myself my first triathlon gear from zulily! I'm a big Zulily fan!!! Cute stuff!!! Do they only ship to UK? Ohmigod I'm definitely joining, that outfit is adorable! Boys clothes tend to be so much more boring than girls clothes (and have a hugely smaller collection in most places too!) so I'm always on the lookout for new shops and websites. Thanks! Well, that's it, I'm a new Zulily customer! :) and how cute is that last photo?! I love his outfit, especially the hat. Zuliliy definitely nailed BB's style. I love his little t-shirt plus that hat is just amazing. He does look like a hip little dude! Though it seems like you might not be able to call him 'blondie' boy too much longer - is his hair getting darker? Mine did that - I was platinum blonde until about age 4, and then it started getting gradually darker. It's a wee bit darker but still definitely blonde :) Promise! My clothes were SOOOO 80's when I was little lol. I think he's really shot up; NBH insists he's short but anywhere we go people comment about him being tall. They have such great deals on such cute stuff! It takes more effort to find cool boys' clothes but Zulily helps take some of that effort away. I hope O gets some cool clothes! Happy to help spread the word! Nope they have a USA site too! A triathlon! OMG good luck! Aren't they cool? He totally doesn't have any "nice" shoes right now either so they are perfect! Thank you! He had no idea who R2D2 is but he loves it! Your little man is too cute! Linking up for the first time. Thanks for hosting!